A Taiwanese aboriginal tribe performs a traditional dance at the inauguration of the Preparatory Office of Austronesian Forum, Wednesday, Aug. 1, 2007, in Taipei, Taiwan. In 2018, Taiwan restored the Austronesian Forum, meeting again for the second time since its formation in 2007. In focusing efforts to promote its indigenous peoples and culture, Taiwan is making a political gambit in the Pacific as well. Last week Taiwan’s Council of Indigenous Peoples (CIP) signed an agreement with the Pacific Island state of the Marshall Islands aimed at increasing bilateral exchanges in order to promote Austronesian culture. The agreement hopes to facilitate increased cooperation between Taiwan’s indigenous community and the ethnically and linguistically related people of the Marshall Islands, particularly in the fields of language, sports, and preservation of traditional wisdom and skills. The agreement coincides with the United Nations’ International Year of Indigenous Languages, which seeks to draw attention to the critical state of many indigenous languages, and will be attempting to promote their protection and continued use, both at national and international levels. 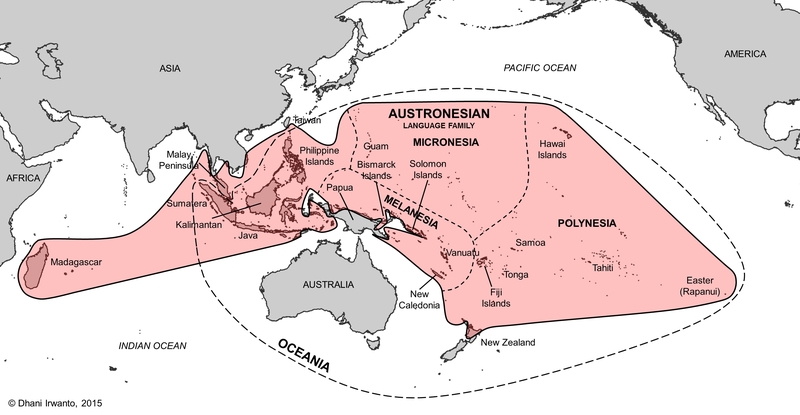 The Austronesian language family encompasses over 2,000 languages that include Taiwan’s indigenous languages, as well as the languages of the Micronesian, Melanesian, and Polynesian islands of the Pacific, many of the major languages of Southeast Asia, and a geographic outlier in Madagascar. The island of Taiwan is generally considered the origin point for the distribution of the Austronesian languages (although this has been challenged). However, the relationship between Taiwan’s indigenous languages and those of the south Pacific regions is undisputed, providing an important historical link to facilitate greater cultural exchange. Taiwan’s indigenous population has inhabited the island for at least 5,500 years, gradually becoming a minority as Han Chinese migration began in the 17th century. The various indigenous groups currently number around 530,000 people, or 2.3 percent of the population. While these indigenous groups suffer discrimination and lower economic status there seems to be movement within Taiwan toward improving their standards of living and recognition in the society. 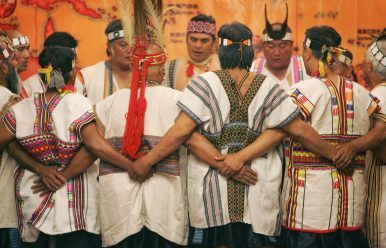 The establishment of the cabinet-level Council of Indigenous Peoples in 2002 not only included the improvement of the quality of life for indigenous communities in its remit, but is also tasked with the strengthening of relations between Taiwan’s indigenous groups and those in other countries. That comes with a particular focus on the related Austronesian cultures of the Pacific and Southeast Asia. Consolidating these historical and cultural links in the Pacific could be seen as part of a Taiwanese strategy of working toward a distinct identity from that of mainland China. An increased respect toward its minority populations — and the promotion of their culture — could also be seen as an attempt by Taiwan to distance itself from the the People’s Republic of China (PRC), whose current behavior toward its minority populations is becoming increasingly troubling. The cultural interaction between related groups throughout the Pacific forms an essential component of this respect. An agreement on increased cultural interaction with the Marshall Islands can also be seen as part of Taiwan’s New Southbound Policy (NSP), aimed at improving relations with other countries in order to lessen Taiwan’s dependence on mainland China. Although Pacific Island states may lack the resources of those in ASEAN or South Asia where the NSP is primarily directed, they form an important strategic secondary component of the policy due to the diplomatic recognition Taipei has among these states, as well as the historical links Taipei is trying to consolidate. Six of the 17 states that currently diplomatically recognize Taiwan are in the Pacific, including Kiribati, Nauru, Palau, the Solomon Islands, and Tuvalu, as well as the Marshall Islands. For Taiwan the diplomatic recognition within the Pacific offers it the ability to act as a normalized state, and pursue bilateral relations in a way that can promote a wider range of exchanges than it otherwise could with countries where it lack recognition. Therefore the linguistic, cultural, and genetic relationships between Taiwan’s indigenous groups and the Pacific presents unique opportunity for Taiwan to demonstrate its sovereign capabilities. In her address to the Marshallese parliament in October 2017, Taiwan’s president, Tsai Ing-wen, made note of their shared Austronesian heritage, and indicated that it was a key element of mutual exchange between the Marshall Islands and Taiwan. Several indigenous members of Taiwan’s legislature also accompanied her on the state visit. Last year Tsai also restored the Austronesian Forum, a forum designed to promote political, social, economic and culture development of Austronesian peoples. The concept was initially devised in Palau in 2006 by Taiwan and the six Pacific Island states that recognize Taipei, but had laid dormant for a decade after only one meeting in 2007. Tsai’s remarks at the forum focused on the work her government was doing to rectify the injustices that Taiwan’s indigenous peoples had suffered, and how extending cultural contact to related groups in the Pacific and Southeast Asia formed an important part of this process. Tsai seems especially invested in these issues due to her own partial indigenous background. Yet the motivation to foster these cultural links — through agreements like the one signed last week with the Marshall Islands — is also inspired by Taiwan’s unique status and foreign policy goals that are directed by its competition with the PRC. The Austronesian heritage of the island provides Taipei with a card that Beijing cannot match. It allows Taiwan to engage in the Pacific in a deeper, more empathic, fashion than the usual competitive checkbook diplomacy between the two Chinas. It’s unlikely to shift the larger Austronesian states toward diplomatic recognition, but it may gain Taiwan some greater sympathy and support.